Lange Reisen sind etwas großartiges, denn man hat die Zeit nicht hetzten zu müssen und alles aufsaugen zu können. Eine Sache die ich jedoch für mich bemerkte ist, dass ich immer noch viel zu schnell unterwegs war. Das Erlebte will schliesslich auch verarbeitet werden und manchmal dauert es eben länger. Daher kommt nach einem Jahr nun die Geschichte eines Non-profit Hotels im Norden von Bali. Eine Geschichte, die mich begeistert hat und noch immer in den Bann zieht. 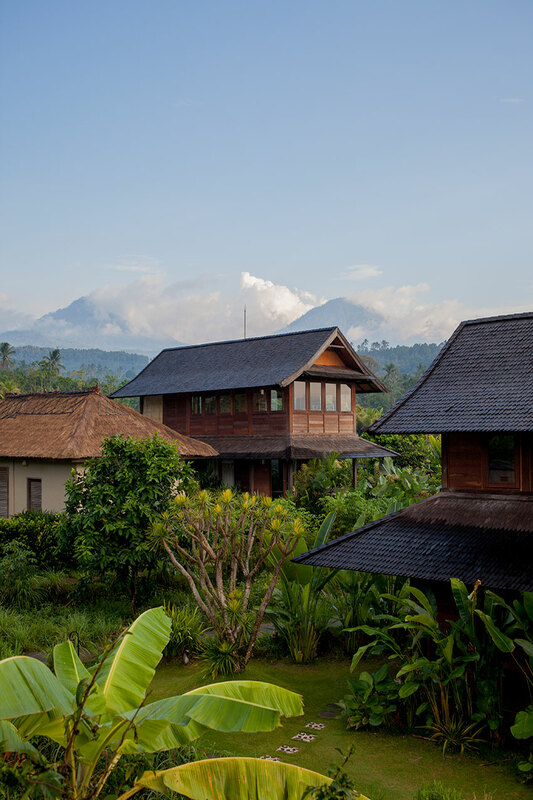 Sanak Retreat is surrounded by rice fields and an amazing view of Mount Batukaru, the second highest mountain of Bali. A very unique refuge, classy, authentic wich comes with a wonderful story. After just two days, it already was hard to leave this beautiful place behind, but the history of origins stuck easily to my brain and is a great example of how it could work or more often should work. Lieber Sebastian, was für ein herrliches Escape! Nicht nur, dass dies hier ein einmaliges Fleckchen Erde ist, sondern die Anlage fügt sich perfekt in die Landschaft ein und strahlt eine sehr angenehme Ruhe und Ästhetik aus. Bitte erzähl doch erst einmal , wie dieser Rückzugsort entstanden ist, denn diese Geschichte habe ich nicht mehr aus meinem Kopf bekommen, seit dem ich sie gehört hatte. in die Landschaft und die Menschen die dort leben und entschied sich, etwas was für diese Menschen zu erschaffen, was die Schönheit Balis wieder spiegelt. Die Idee war, etwas an die Balinesische Bevölkerung zurück zu gegeben. Mit der Fähigkeit gut zu organisieren, der Hilfe der Einheimischen und seiner Frau eine Französische Philanthropin entstand das Sanak. Die Planung brauchte ein Jahr, das passende Grundstück zu finden und Sanak zu bauen zwei weitere Jahre. Baumstämme mit hoher Qualität wurden aus Kalimantan eingeschifft und vor Ort gesägt. in Mitten der Reisfelder entstanden Bungalows und Villen. 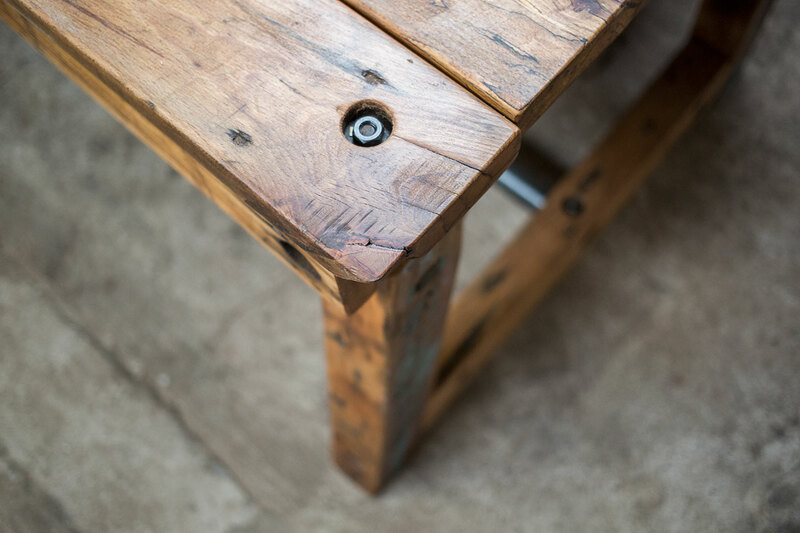 Ein Französischer Innenarchitekt, der bereits eine lange Zeit in Asien lebte, wurde beauftragt Stoffe und Dekorationen zu finden die sich mit der Umgebung einfügen und den hohen Standart an Annehmlichkeiten und Inspiration für die Gäste wieder spiegelt. Landscape but a flattering and aesthetic architecture wich fit in as well. Please tell me a bit about this hideaway and the story behind. Sebastian // In 2011 a French business man, who lives in Singapore, took a year off spend his time with trekking to the mountain peaks of Asia. He came by the Munduk region and became friends with a very warm, humble and friendly local who was his guide during his trekking tours. The French man fell in love with the the landscape and the people and decided to create something for them which reflects the beauty of Bali. The idea was to give back the community and with his organization skills, local help and his wife, who is a French humanitarian, they build Sanak. It took a year of planning, selecting the land and another two years to build Sanak. 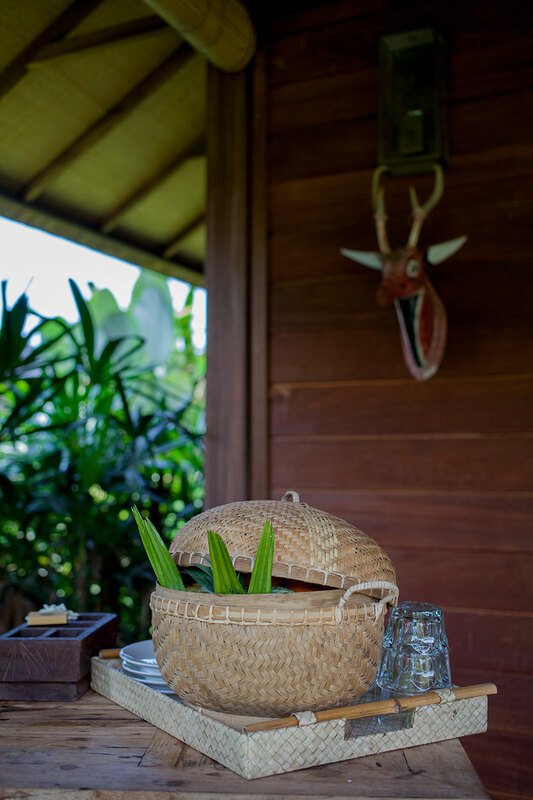 High quality wooden locks from Kalimantan were shipped in and cut on site carefully and wooden bungalows and villas were constructed on top of the rice fields. 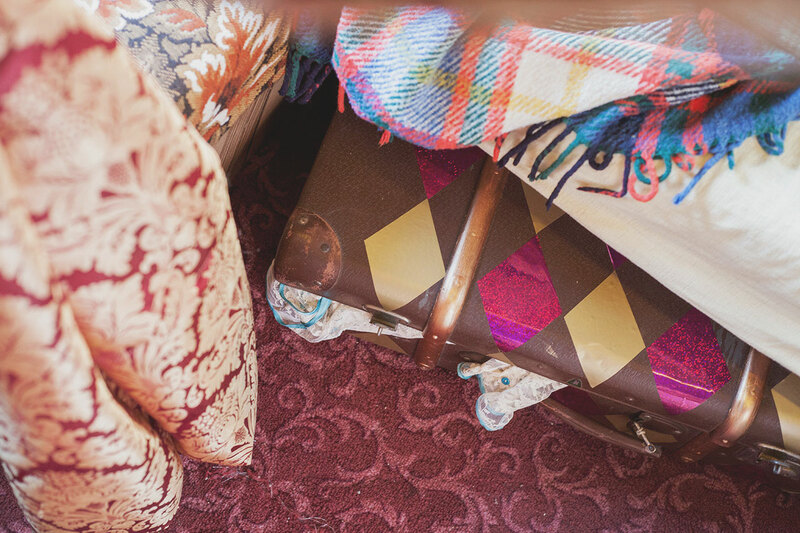 A french interior designer, who lived in Asia for a long time, took care of making sure the selected artifacts and fabrics would blend with the nature as well as giving a high sense of comfort level and inspiration for our Gasts. Dem Sanak geht es nicht nur darum sich optisch in die Gegend einzufügen, sondern soviel wie möglich mit und für die Bewohner der umliegenden Ortschaften zu tun. Erzähl doch bitte ein bisschen darüber, was für dem Sanak sehr wichtig ist. Professionalität und Unterstützung für die Menschen, die das Sanak ausmachen war ein weiterer Eckpfeiler. Wir unterstützen die ansässigen Schulen mit Praktika, unterrichten die umliegenden Orte mit ökologischem Unterricht und bauen gerade eine sortier und Recycling Anlage für das Dorf. Während der Entstehung des Sanak war das „Etwas zurück geben“ immer im Vordergrund und ist somit wichtig für die Geschichte des Sanak.Talentierte Einheimische aus der Umgebung, die sich von Anfang an dazugehörig fühlten, wurden eingestellt. Team Work, Professionalität und Unterstützung für die Menschen, die das Sanak ausmachen war ein weiterer Eckpfeiler. Wir unterstützen die ansässigen Schulen mit Praktika, unterrichten die umliegenden Orte mit ökologischem Unterricht und bauen gerade eine sortier und Recycling Anlage für das Dorf. 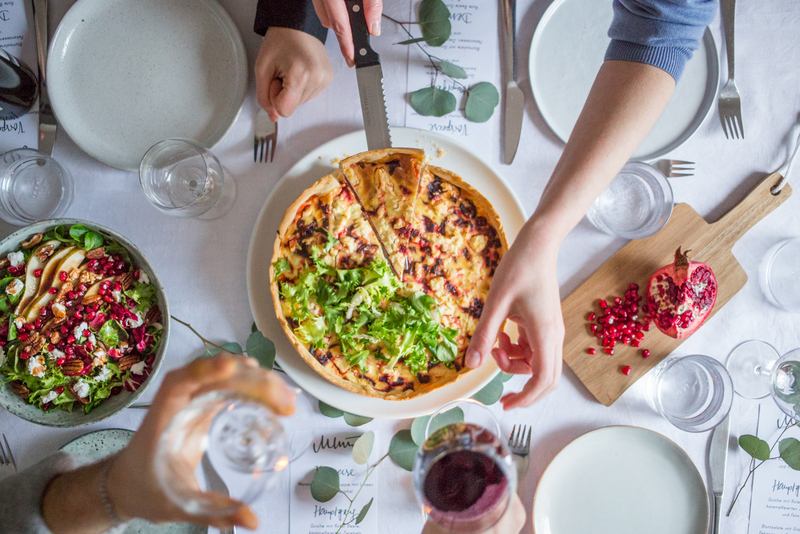 One of the important goals of the Sanak was not just to fit in the landscape, the more important part was to work with the lokal people and the villages in the close neighborhood – to give something back. Sebastian // The “Giving Back” aspect was already very important from the beginning in the history of Sanak. Talented locals were hired almost all from the surrounding villages who felt a strong sense of belonging right from the beginning. Team work, professionalism and supporting the people beyond Sanak was another cornerstone. We support the local schools with training, the surrounding villages with environmental education and we have build a sorting and recycling station for the village. was für Unterbringungsmöglichkeiten gibt es und was bietet das Sanak ausserdem? Berg und Reisfeld Blick ist. Für größere Familien, Freunde oder Paare ist die Villa mit drei Schlafzimmern. Alle Zimmer haben ihr eigenes Badezimmer, eine eigene Terrasse oder Balkon. Es gibt einen Pool der zu der Villa gehört und eine Lounge cabana, die für absolute Privatsphäre sorgt. Insgesamt bietet das Sanak 11 Wohneinheiten und vermittelt somit das Gefühl von einem geheimen Versteck,dass ganz wunderbar in die unmittelbare Umgebung eingebaut wurde. Zu den Highlights im Sanak gehört das Essen – eine Mischung aus Asiatisch-Europäisch mit einem hohen Anspruch an Qualität und Produkten aus der Umgebung und der Spa Bereich. If someone would like to stay at the Sanak …and I am sure people would love to if they here about..
what kind of accommodation facillities are available and what else has the Sanak to offer? sunrise views, ideal for couples. 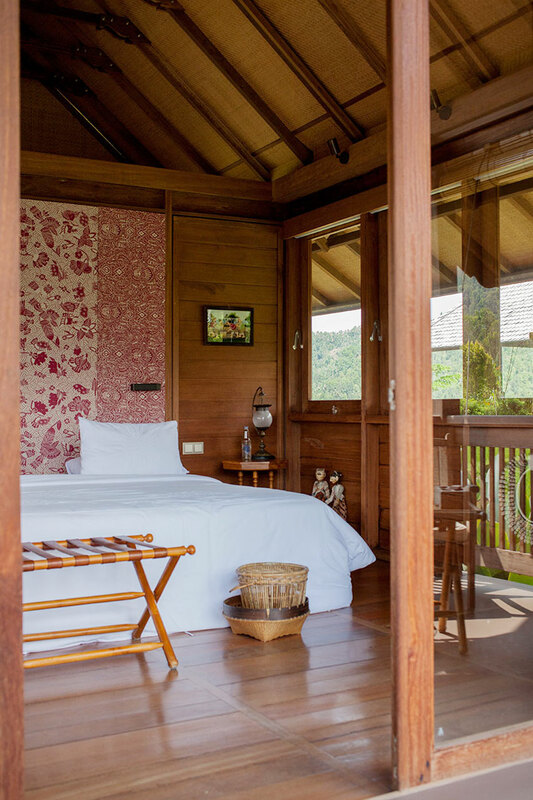 Families prefer the Two Bedroom Bungalows with 2 levels, 2 balconies and 360 degree mountain and rice field views. 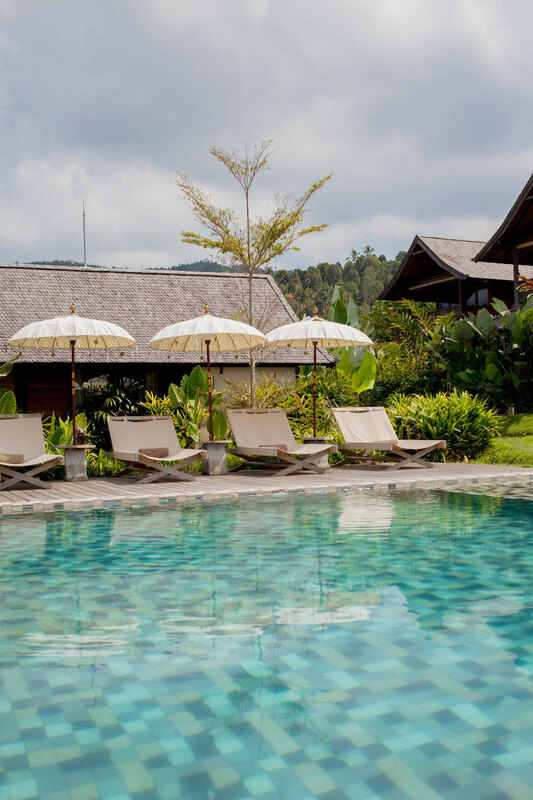 Ideal for a bigger family, friends or some couples is the Three Bedroom Villa. 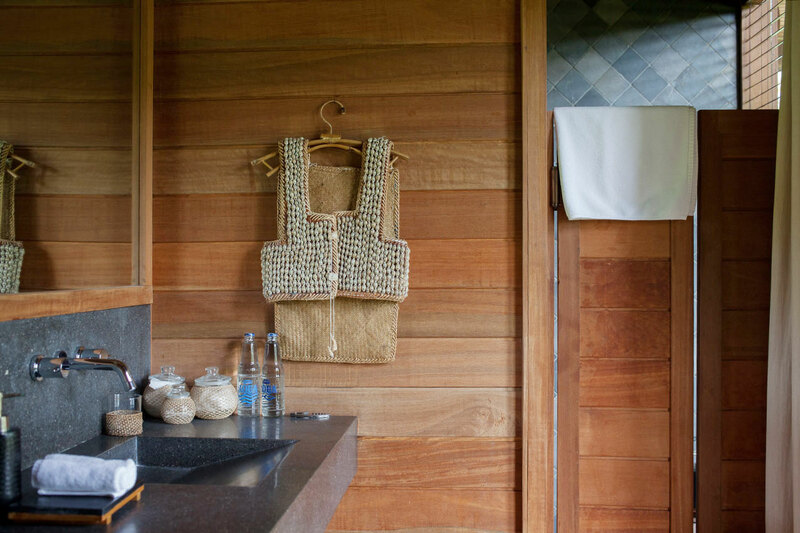 All rooms have private bathrooms, veranda, there is a private pool and a lounge cabana with total privacy. There are a total of 11 units at Sanak, which gives you the feeling in staying in a boutique hidden secret hideaway nestled beautifully in the surrounding landscape. Highlights at Sanak are the Food, which is Asian European with a strong focus on quality and the use of local produce as well as the Spa. 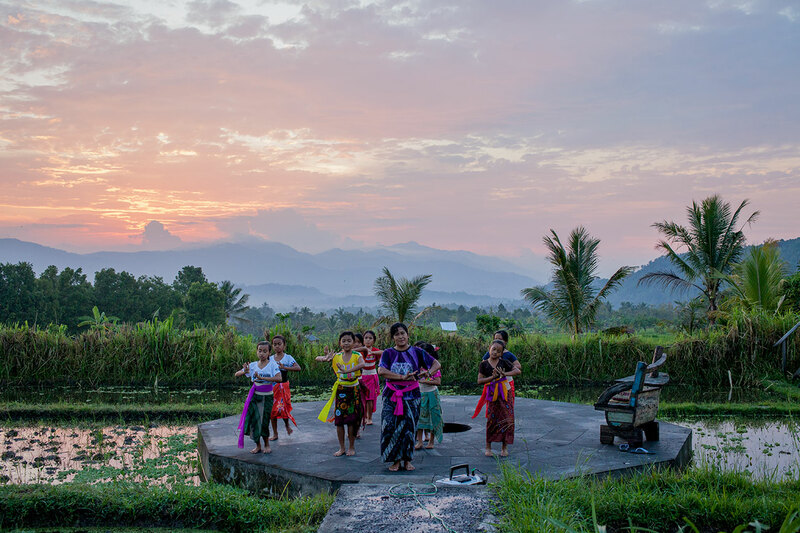 There are daily activities with the highlight here being a local dance class, where girls from the surrounding villages practice Balinese dances at sunset, visually and inspirational stunning experience to watch or to participate. 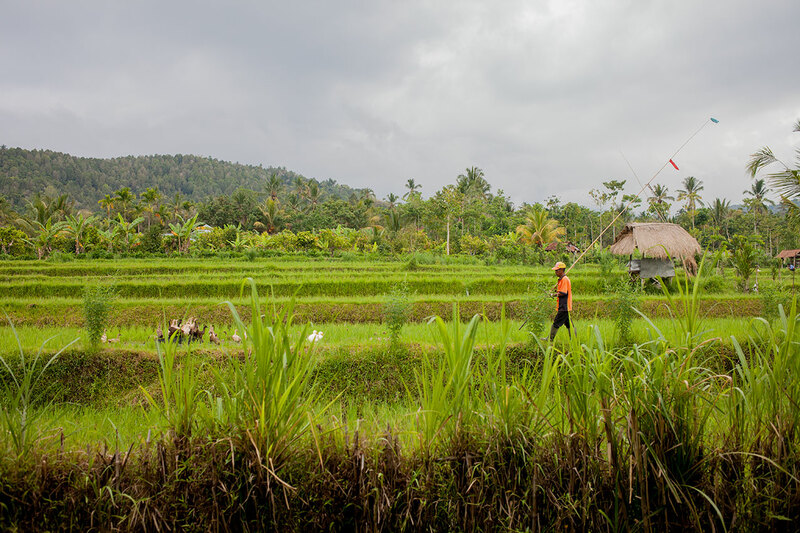 Popular activities for guests are rice field walking tours starting right at Sanak to a secluded waterfall or a holy spring where guest could have a Balinese water blessing or visit a Balinese healer nearby. Mountain biking, canoeing, snorkeling, fishing, scooter trips and visits to local markets and a Buddhist temple are the most popular activities besides the walking tours. Die Anlage ist recht überschaubar, dennoch hat ein jeder seine Privatsphäre aber in einer sehr familiären Atmosphäre. Dies hat meines Erachtens sehr viel mit der Führung eines Unternehmens zu tun und der Grundeinstellung. Erzähl doch bitte ein bisschen über Dich, wie es Dich nach Bali und nun ins Sanak verschlagen hat? it possible for me also to work in Jakarta, East Java and Lombok. 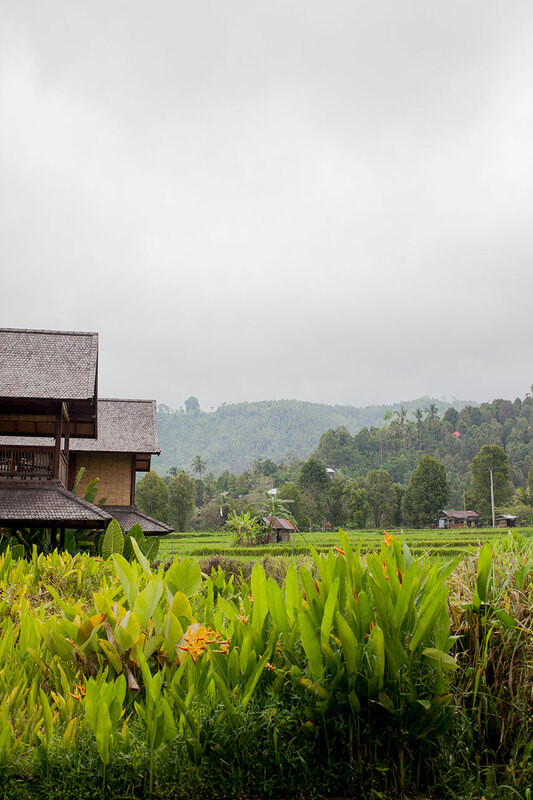 Last year, after seeing years of Bali booming and therefore lots of new developments I was looking for a change and a property in a more untouched region of Bali. By chance at that time Sanak was hiring, so I took the job and for me it’s a pleasure to be part of this still very young Sanak story. I first visited Bali on vacation in 2002. At that time i worked in New York in a chain hotel and was ready for a change. 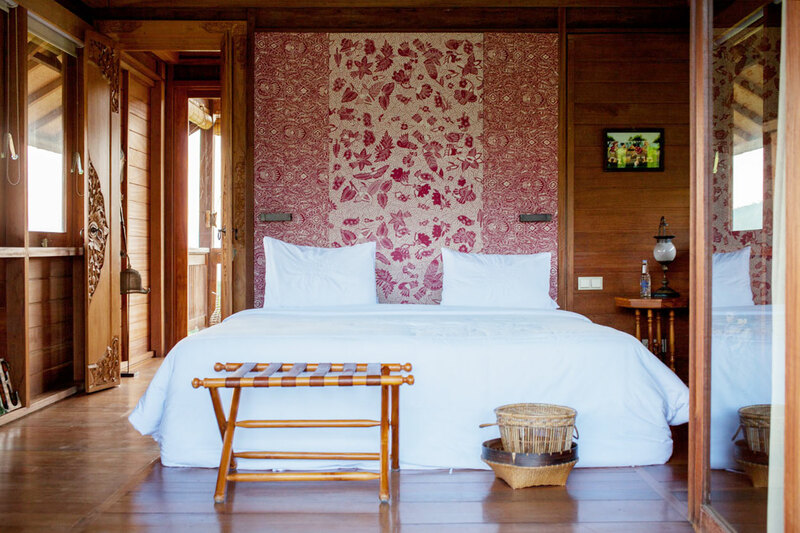 Since I made some contacts during my Bali trip, a year later i accepted an offer to work in a small museum boutique hotel in the south of Bali which was dedicated to art and history of Indonesia. The family brand expended over the years which made it possible for me also to work in Jakarta, East Java and Lombok. 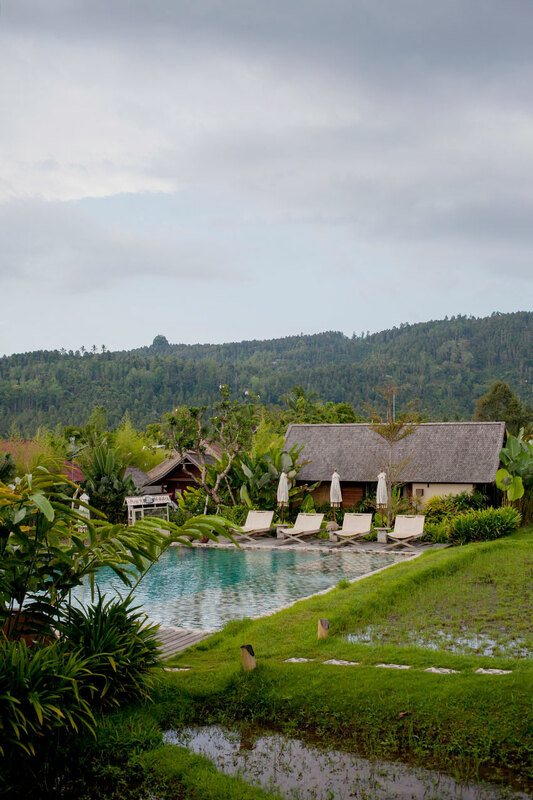 Last year, after seeing years of Bali booming and therefore lots of new developments I was looking for a change and a property in a more untouched region of Bali. By chance at that time Sanak was hiring, so I took the job and for me it’s a pleasure to be part of this still very young Sanak story. The resort is a small one, but still everyone has their own privacy. Its a very familiar atmosphere and I am sure its because of the management. Please tell me a bit about you and how you came to Sanak? Sebastian // I first visited Bali on vacation in 2002. At that time i worked in New York in a chain hotel and was ready for a change. 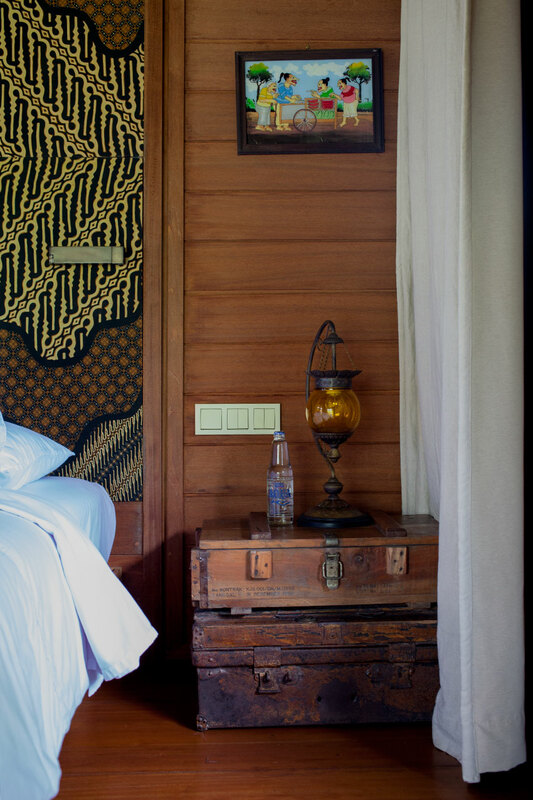 Since I made some contacts during my Bali trip, a year later i accepted an offer to work in a small museum boutique hotel in the south of Bali which was dedicated to art and history of Indonesia. The family brand expended over the years which made it possible for me also to work in Jakarta, East Java and Lombok. 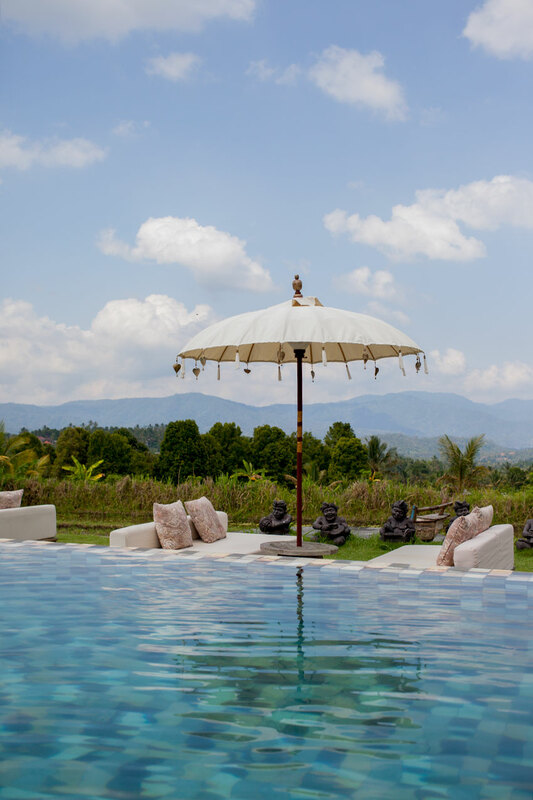 Last year, after seeing years of Bali booming and therefore lots of new developments I was looking for a change and a property in a more untouched region of Bali. By chance at that time Sanak was hiring, so I took the job and for me it’s a pleasure to be part of this still very young Sanak story. Du bist durch Deinen Job ja schon ein wenig rum gekommen. Was ist für Dich das Besondere an Sanak Retreat und an Deiner Arbeit hier? einzigartig und die sehr geschmackvolle Dekoration und die Architektur aus Holz passen zu der Umgebung. Ich arbeite grundsätzlich immer nur in Hotels, in denen ich auch selbe als Gast übernachten würde. Auf diese Art und Weise fällt es mir nicht schwer, meine Begeisterung für das Sanak, mit unseren Gästen und Angestellten zu teilen. Ein wichtiger Grund warum ich mich für das Sanak entschieden hatte, war das Ökologische Engagement. Es ist das Anliegen von Sanak so umweltfreundlich wie möglich zu arbeiten, Projekte zu fördern, die für die Umgebung, das Dorf und die Gemeinden um Sanak wichtig sind. Im Moment planen wir eine Anlage um Müll zu entsorgen. You’ve had already jobs in different countries. What makes the Sanak special to you ? 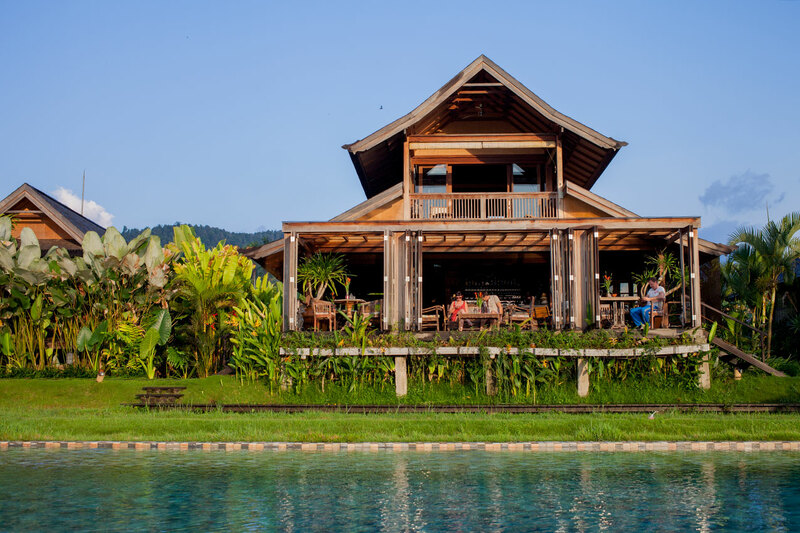 Sebastian // First it’s a relatively small retreat nestled in stunning landscape, very unique and very tastefully decorated and a wooden architecture which blends wonderfully with the surrounding nature. I only work at hotels which i would also choose if i were a guest. It is therefore easier for me to share my enthusiasm for Sanak with my guests and staff. A strong reason for me was as well the environmental commitment where i can initiate and follow through projects to help and communicate basically whole villages around Sanak of its importance.